RCom adds 3.3 million users in Feb.
Rcom seems to be on a roll, with largest number of users added in Jan and Feb compared to any other operator in the country. Last month the count stood at 3.3mn, which is higher than what others managed to rope in. 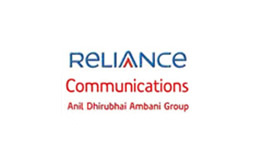 RCom believes that the results are a clear sign of the operators increasing dominance in the Indian Telecom market. We Say: Though these figures represent GSM as well as CDMA users, the numbers are expected to increase in the coming months. We are of the view that this is the beginning of RCom’s continuous attempt to strengthen its foothold in the market.